This might sound like courting controversy deliberately, but the first thing I’d say about LinkedIn and sales, is that LinkedIn doesn't change anything fundamental about the business of selling. At the same time though, LinkedIn has completely transformed how you put those fundamentals into practice. Confused? I apologize, let me explain a little further. The fundamental truths about selling and human behavior haven’t changed. In many ways, they can’t. It’s still true that people’s past history shapes their future behavior; it’s still true that word of mouth is the strongest form of marketing; and it’s still true that a good salesperson will always want to identify the real decision-maker and rack their brains to figure out ways to get closer to them. What’s changed with LinkedIn is the redefinition of what’s possible in all of these aspects of selling. The fact that we can know so much more about the individuals that we engage with helps us frame our value proposition in terms that mean something to them. Let’s take an example that we encounter fairly often at SAP. If an IT buyer has a finance background, the chances are that he or she will approach a buying decision differently to someone with a background in marketing. The level of individual detail that we can get through a tool like LinkedIn Sales Navigator helps us to work out what the likely motivations are of the person we’re dealing with. There was an example at SAP recently, where we found that the discussions we were having with our contact at a business weren’t producing the decision that we were expecting. When we did our research using Sales Navigator, we found that the real decision-maker was the CFO, and that he was keeping himself hidden in the background. We knew we had to talk to him directly, so we got in touch using InMail and set up a meeting. That was the turning point, and it paved the way to an important deal for us. Word of mouth has always been the strongest form of marketing, and LinkedIn is very much an embodiment of that word of mouth. When you reach out to someone on the platform, the fact that they can see your connections, see what discussions you’re involved with, what groups you’ve joined: it’s a passport to credibility in many respects. Turning that concept inwards for a moment, our strategy for rolling out Sales Navigator at SAP could easily be summed up as ‘making it go viral’. I knew that just buying in the licenses, giving everybody some training and then telling them they had to do things this new way wasn’t going to work. With something like social selling, you come up against what I call the bungee cord effect. You move forward, stretching out the thing that’s trying to hold you back – and the further you go the stronger the resistance pulling you backwards. If you once lose your forward momentum you get instantly snapped back to square one. We countered this by restricting the number of licenses to begin with – and then letting word of mouth and envy do the rest. We didn’t provide every sales person with a license straight away, providing them first to those that I knew would excel at social selling straight away. Before long, they had plenty of other people looking over their shoulders, asking what they had that made them so effective. And I was getting plenty of calls along the lines of: “Conor, I hear you’re the person who can hook me up with a Sales Navigator license.” Now we’ve rolled out the licenses across a sales team of 300. Mind you, I’m still getting a few calls like that. Good sales people have always known the value of working every angle of the leads that they’re given. Back when we were still working the phones first and foremost, I would be flicking through old contact books trying to figure out whether I knew anybody who could give me an introduction to the key person I needed to speak to. Features like Teamlink transform the speed and ease with which we can do that. And they mean that there’s less and less excuse for sales people holding up their hands and saying “you’re not giving me good enough leads”. With social selling and Sales Navigator you’ve got all these tools at your disposal to make those leads better! 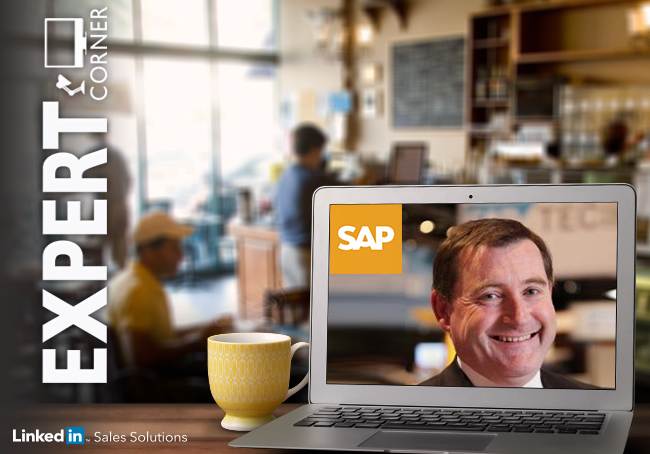 I’ve talked through the selling fundamentals that haven’t changed – but there’s one huge change that has taken place over time, and it’s something that’s very important to SAP. The primary role of a sales person used to be to communicate product information. That’s no longer the case. In the age of Web 2.0, everyone we sell to will have already informed themselves to some degree about our product. Our task isn’t to tell them about its features, it’s to simplify them and relate them to somebody’s needs; to act as a consultant explaining how our product can help. 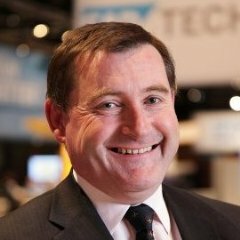 Making processes simpler is a big part of what SAP does, and the way that we sell has to reflect this. LinkedIn is hugely helpful when it comes to anticipating needs – and showing how our products can simplify people’s working lives.